The phenomenon known as "Buddhism" embraces an uninterrupted process of communication through which the Buddha's followers have been guided and inspired for 25 centuries. Communication is a living, evolving thing, and for all its continuity the Buddhist tradition presents the modern student - and practitioner - with a bewildering array of cultural, philosophical and practical forms. This work describes and correlates these diverse manifestations - in Buddhism's homeland of India, and in its spread across Asia, from Mongolia to Sri Lanka and from Japan to the Middle East. 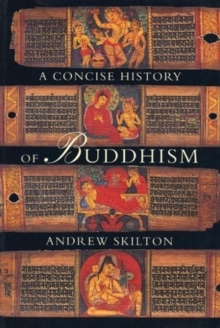 Drawing on recent historical and literary research, the author explains the basic concepts of Buddhism from all periods of its development, and places them in an historical framework.